A peaceful enclave in the current chaos that defines the Horn of Africa, the nation provides a regional and reliable asset for international actors attempting to eradicate piracy. Despite challenges posed by its status as an unrecognized state, Somaliland has taken strides past neighboring Somalia in combating this ongoing problem. Piracy off the Horn of Africa increases every year due to constant instability in the region. In 2008, 111 vessels were attacked. Since the beginning of 2011, there have already been 188 attacks. Every year worldwide piracy costs the shipping industry billions of dollars in rerouting, ransoms, and many other related expenses. These costs are then passed on to the consumer. To curb piracy, the international community is working with regional partners to stabilize the region. Somalia’s U.N.-appointed Transitional Federal Government (TFG) has proven largely incapable of establishing law and order outside of parts of the capital city of Mogadishu. Constraining piracy is well beyond the limited capabilities of the TFG. 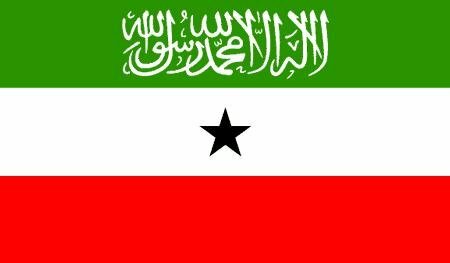 By contrast, the government of Somaliland, the autonomous state in northern Somalia, is a more promising partner even though it is not recognized by the U.N.
Somaliland is a unique region of stability in Somalia. The state re-declared its independence in 1991 (it was briefly independent in 1960) and formed a government based on representative democracy. In 2001, Somaliland reaffirmed its independence through a constitutional referendum. For the most part, the region has been spared the conflict and instability that has afflicted the rest of Somalia and contributed to the lawlessness that allows piracy to prosper. Piracy and terrorism threaten Somaliland’s relatively peaceful society. Somaliland has taken an active role in working with the international community not only to protect its citizens but also to increase its presence on the world stage. Earlier this month, Somaliland’s anti-piracy committee met for the first time to assess appropriate measures for government action. The purpose of the committee is to examine the ways in which Somaliland can work at an international level to counter piracy. In the past few years, Somaliland has increased its cooperation with regional neighbors including Puntland (another semi-autonomous region in Somalia) and the TFG. Somaliland’s adherence to the Djibouti Code of Conduct led to the creation of the Kampala Process under which anti-piracy laws (including those related to prisoner transfers) were drafted. In November 2010, Somaliland built a maximum-security prison (with the help of the U.N. Office of Drugs and Crime) to relieve the burden of regional partners lacking the capacity and/or will to incarcerate pirates. As of last March, there are approximately 350 suspected and convicted pirates being held in Somaliland and Puntland. Somaliland’s lack of international recognition poses major challenges to its involvement in combating piracy. International recognition could help increase foreign direct investment and improve economic development. As piracy becomes more frequent, more ransoms are paid and pirates become wealthier. Pirates then invest this money into sophisticated fortification for operating bases, out-resourcing local authorities. With a stable economy, Somaliland would be able to devote more resources to combating piracy. At a public event last week at the International Republican Institute, Dr. Mohamed Abdullahi Omar, Somaliland’s Minister of Foreign Affairs, stated that the U.N. arms embargo on the region has severely affected Somaliland’s ability to modernize its counter-piracy operations and combat terrorism. Somaliland has the potential to be a major asset to the international community in combating piracy. In seeking international recognition, the government wants to be included in the U.N. Security Council’s reports on Somalia and is working towards more involvement in international forums. With so few willing and able governments in the region, Somaliland should be encouraged in these efforts﻿.